(Nick Bernabe) The battle was lost, but apparently the war continues on for water protectors who are still trying to stop the Dakota Access Pipeline (DAPL). The Associated Press is reporting that suspected vandals, possibly individuals from the #NoDAPL campaign, have burned a hole in the side of the pipeline with what appears to have been a blowtorch. “The South Dakota attorney general’s office confirmed one incident of what it called ‘felony vandalism’ southeast of Sioux Falls,” AP reports. Tribal activists, or water protectors, are denying any involvement in the incident. No injuries have been reported, and there are no suspects in custody, officials say. The FBI has reportedly been notified. 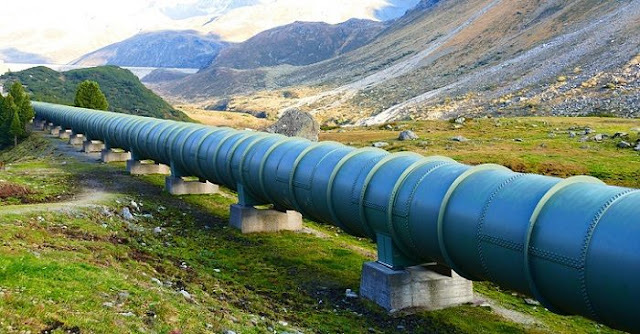 The vandalism comes just days before the pipeline is set to become operational. The DAPL has been the source of much contention between the Standing Rock Sioux tribe, environmental activists, and militarized law enforcement. The months-long blockade of the pipeline came to an end after heavily armed police evicted the last of the opposition camps on February 23rd.